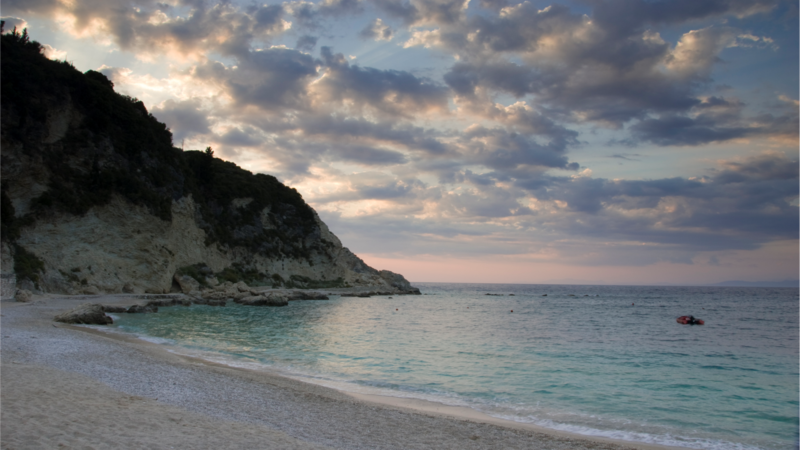 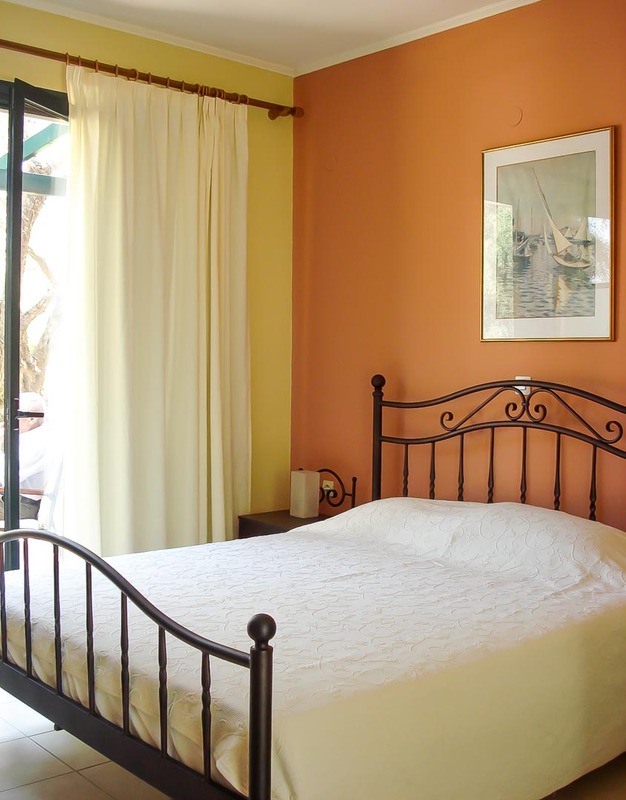 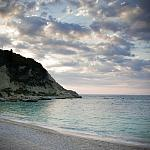 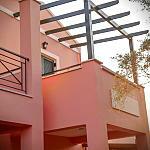 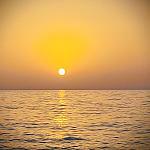 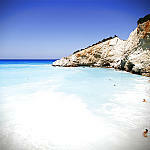 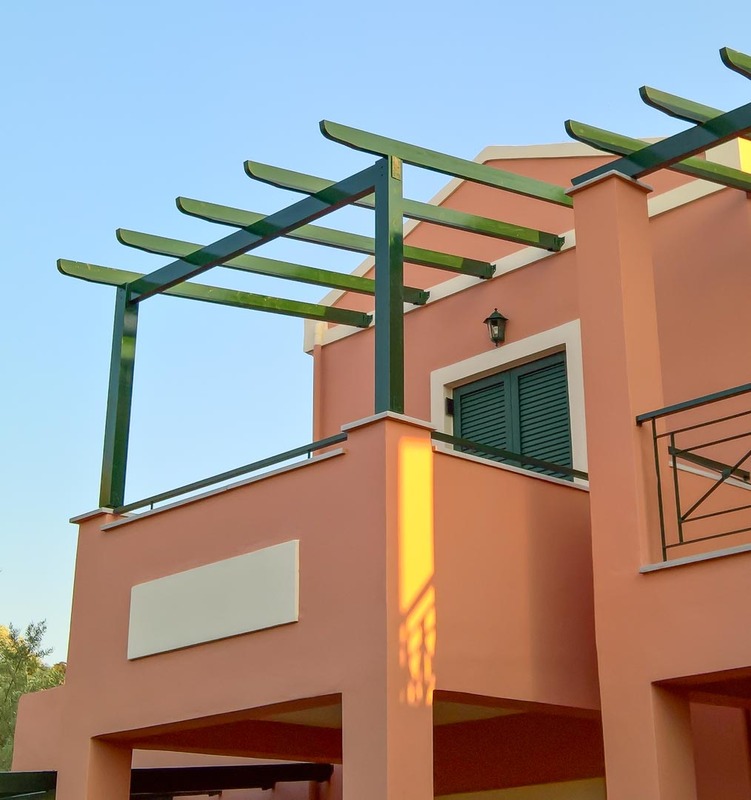 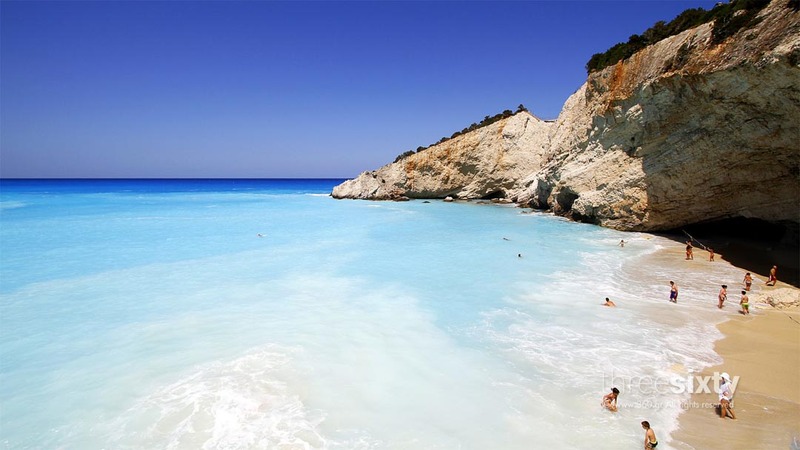 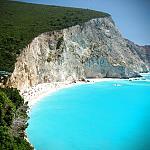 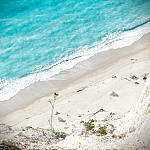 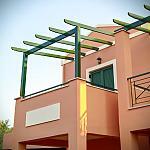 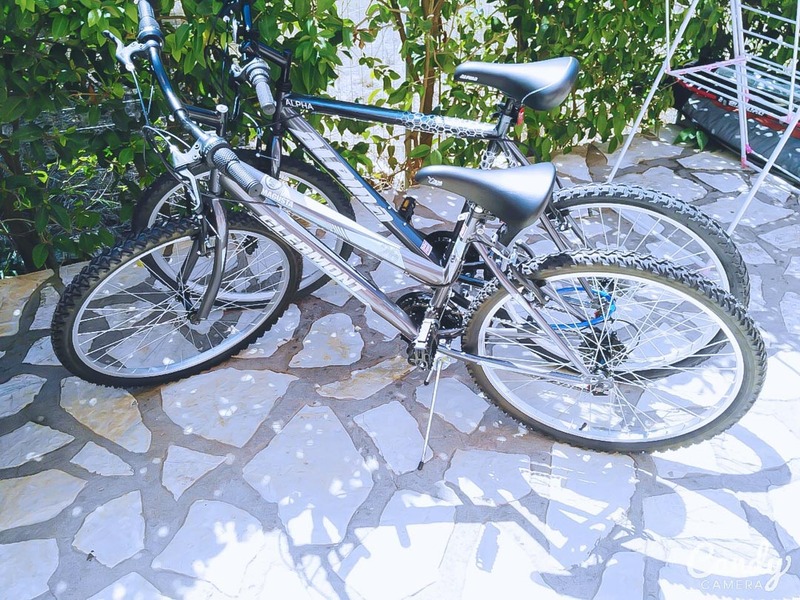 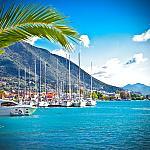 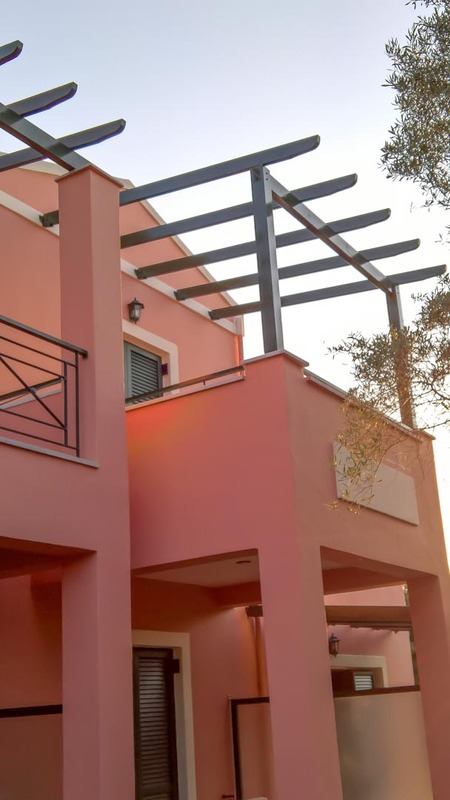 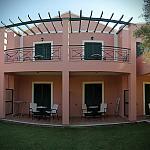 Ionian Breeze studios welcomes you to Lefkada, an island at the Ionian Sea that will charm you at once. 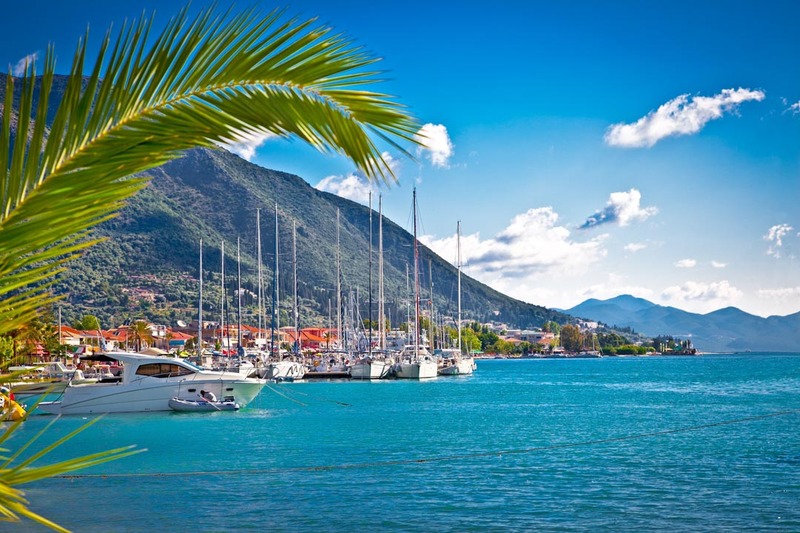 Wild and mild beauty green water sources, white beaches, picturesque villages perched to hills, endless walks and pleasant excursions will give to your vacations a unique color. 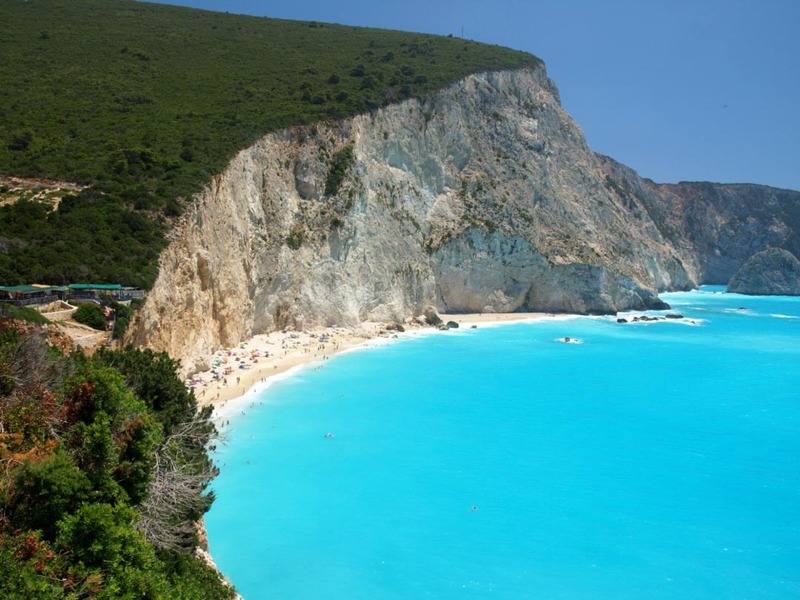 All the beaches of the island combine the wild image of the steep rocks that go until the sea with the big sandy beaches that lie between them. 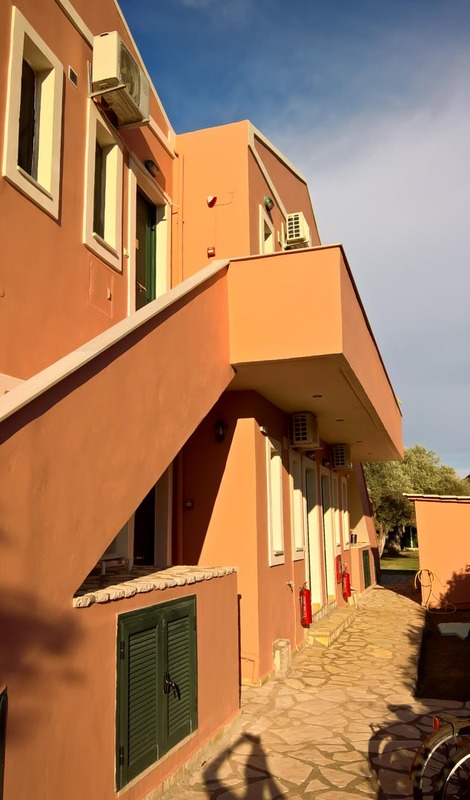 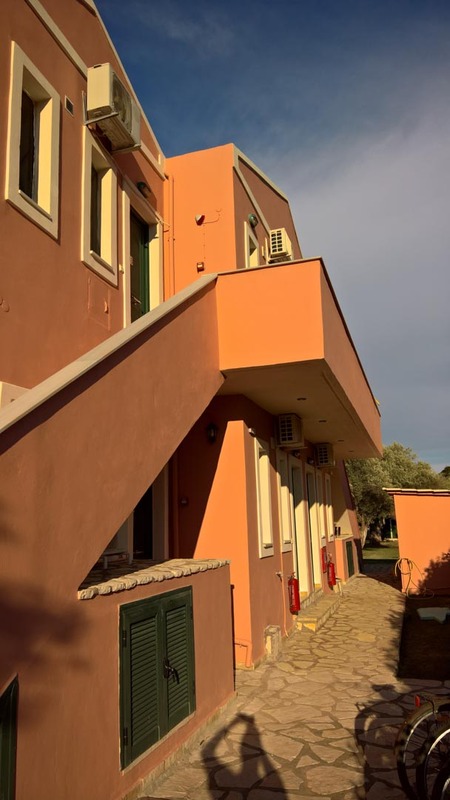 The complex is located just 1,5 km from the town of Lefkada, at the west side of the island, in a lush green environment of 2000 sq. 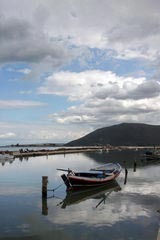 m. overlooking the beautiful village of Frini and Faneromeni's Monastery. 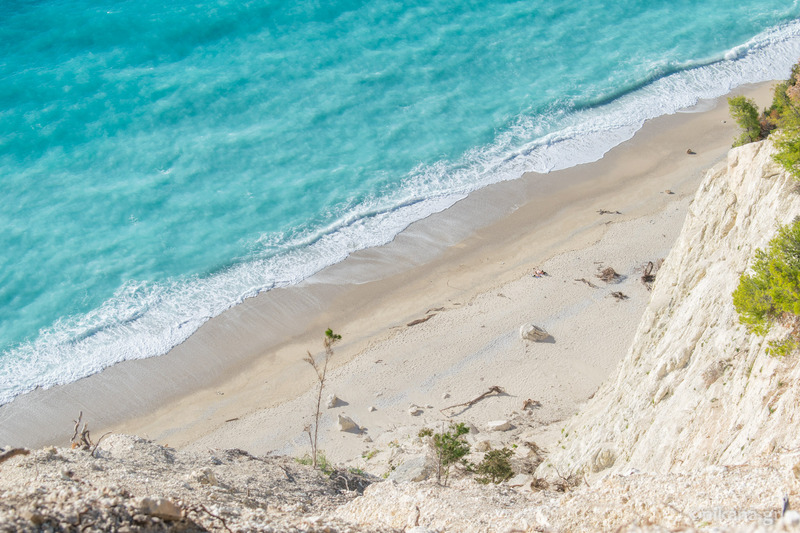 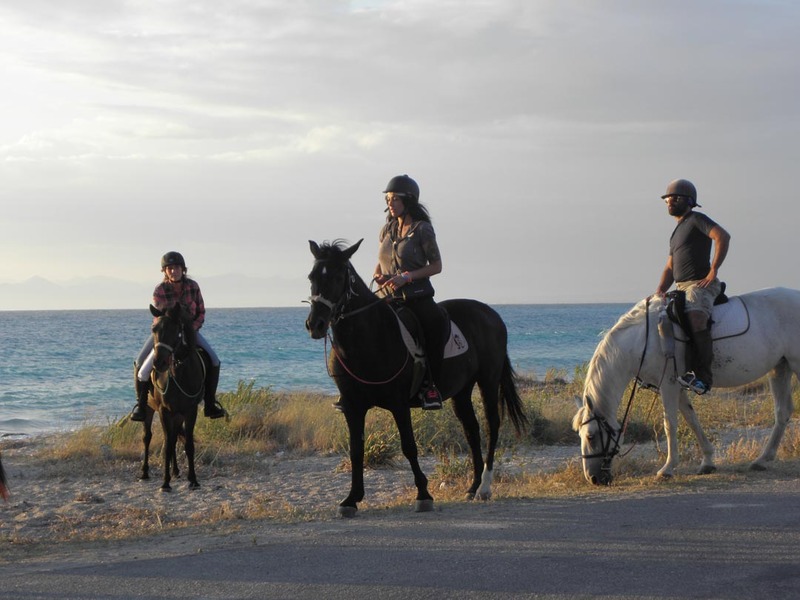 Our location offers the opportunity to our guests to visit various spots of our beautiful island. 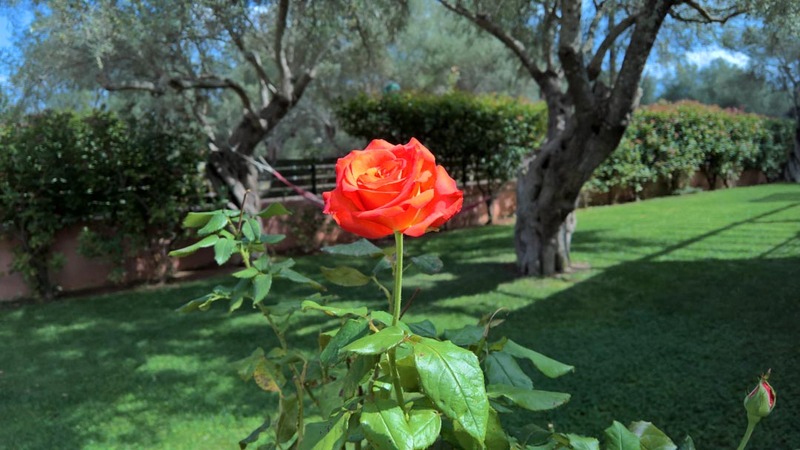 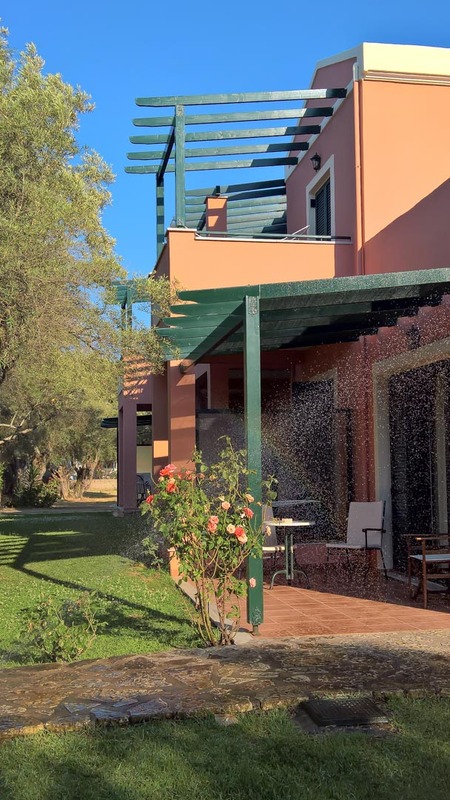 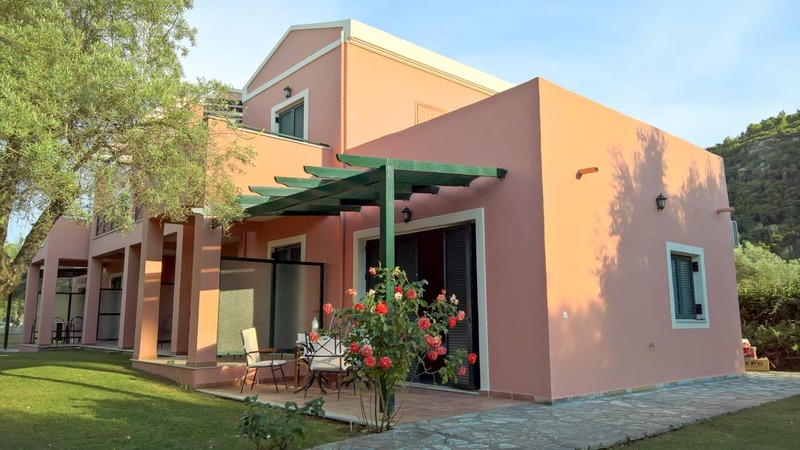 Go through our web site, enjoy Lefkada’s beauties and we’ll be more than pleased to welcome you to the Ionian Breeze studios. 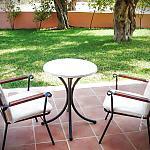 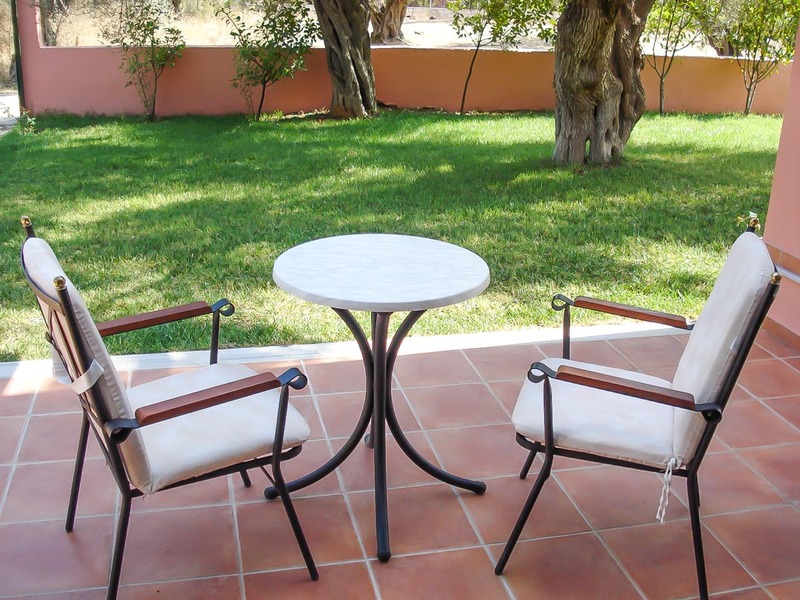 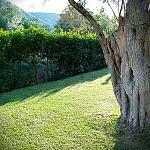 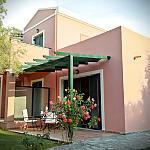 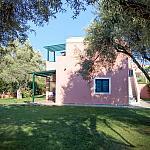 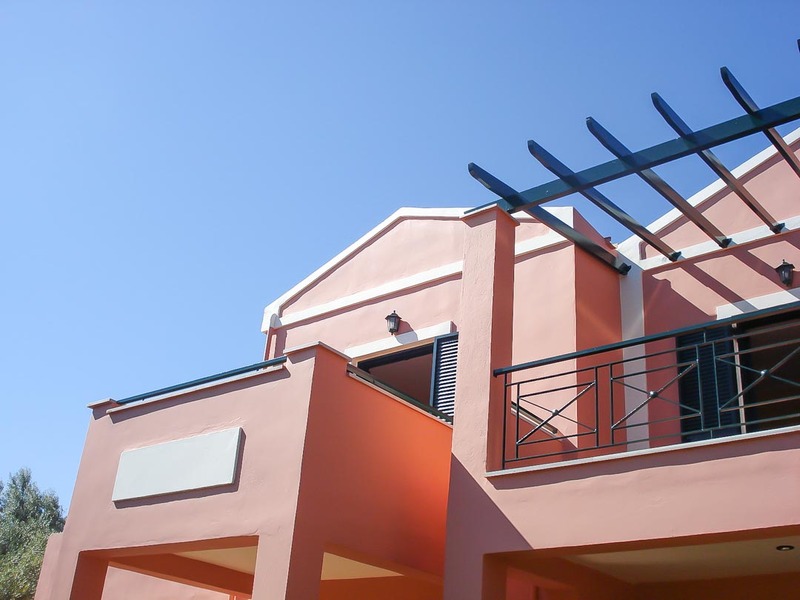 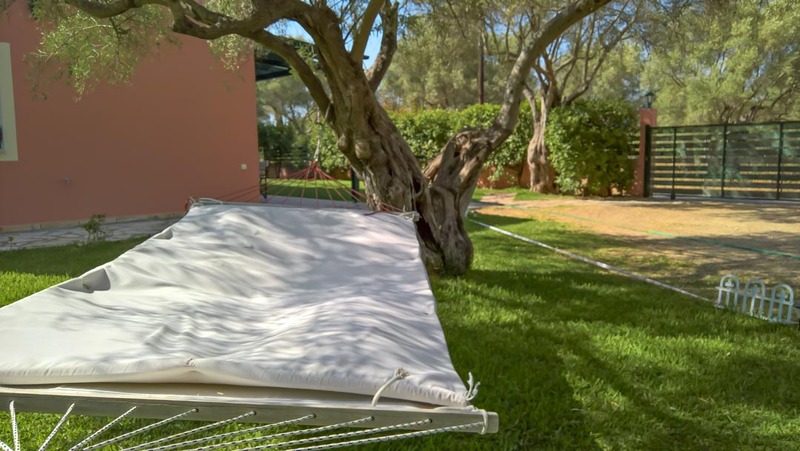 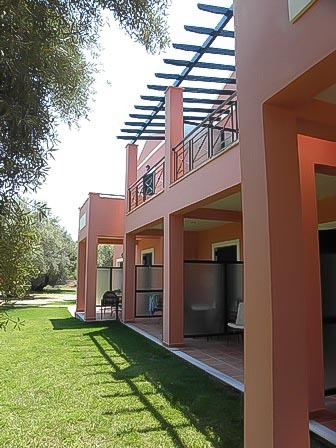 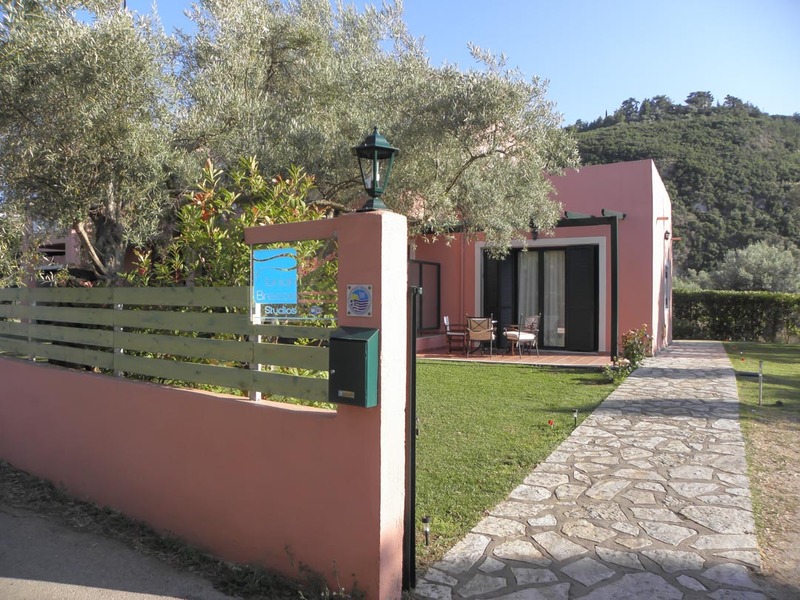 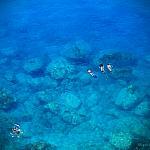 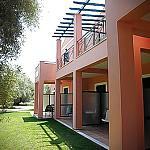 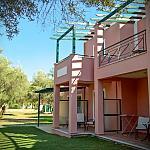 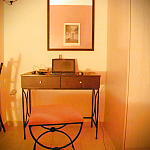 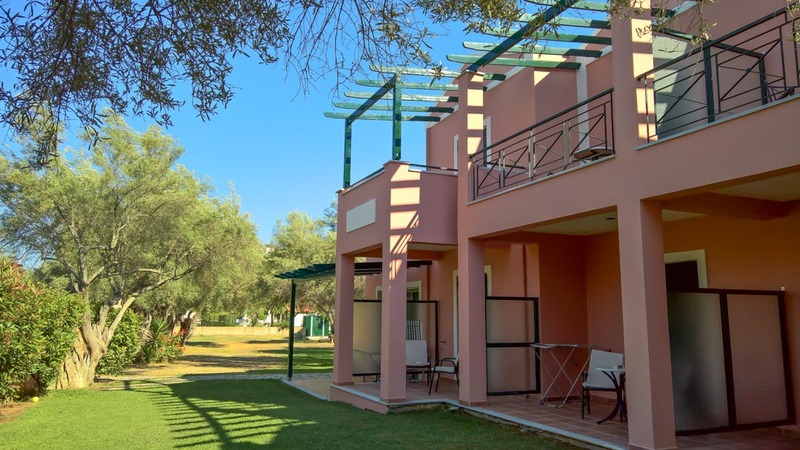 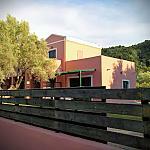 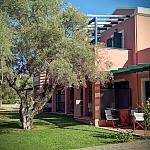 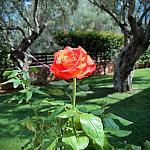 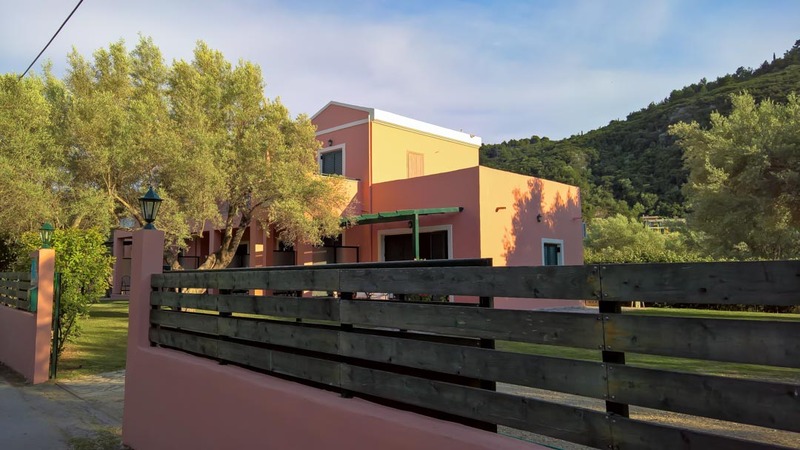 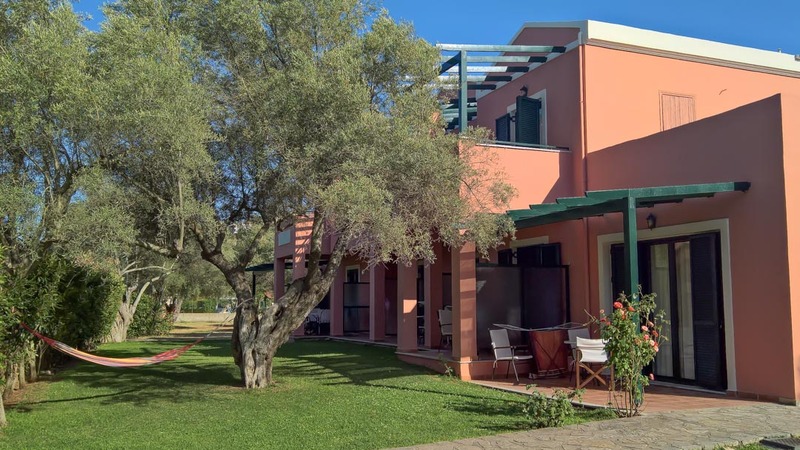 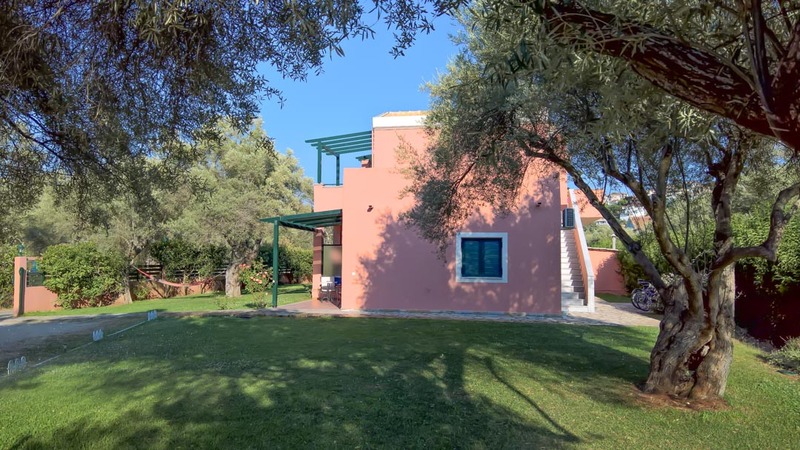 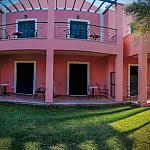 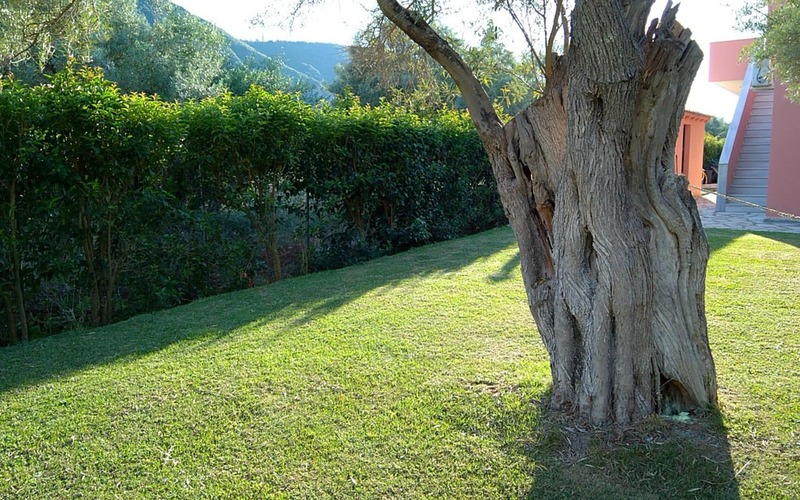 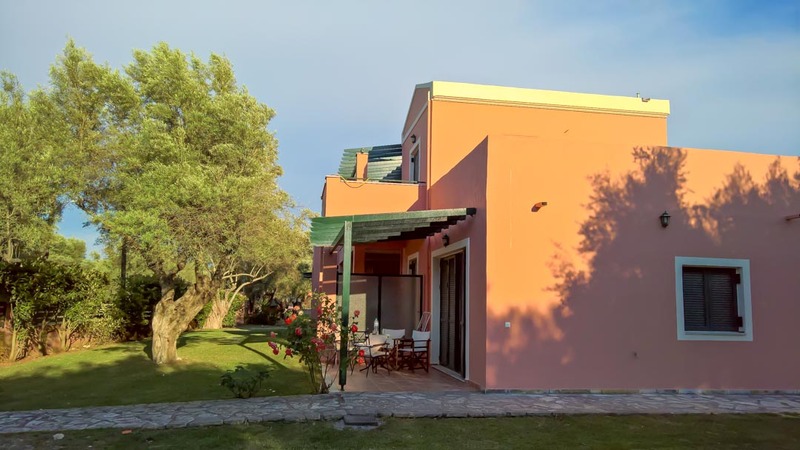 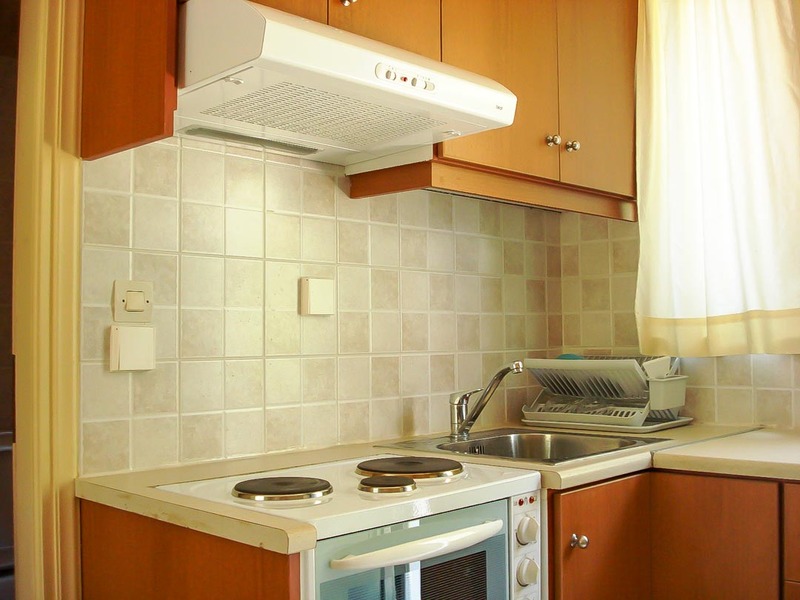 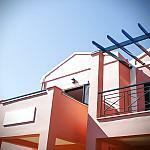 Ionian Breeze Studios complex is located at a lush green environment at the west side of the island. 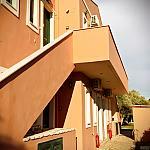 Built in a 2000 sq. 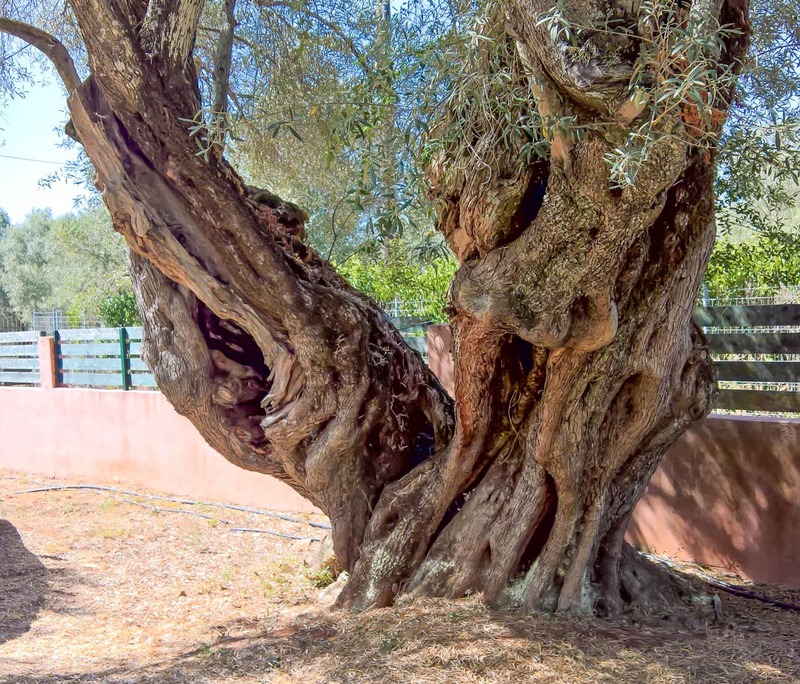 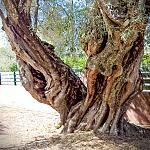 m. garden with olive trees over 400 years of age. 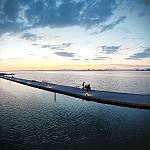 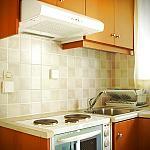 It offers 10 studios of 25 sq. 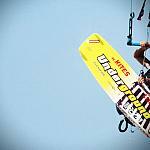 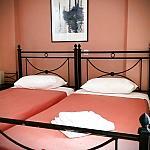 m. Each, that can accommodate up to 3 persons. 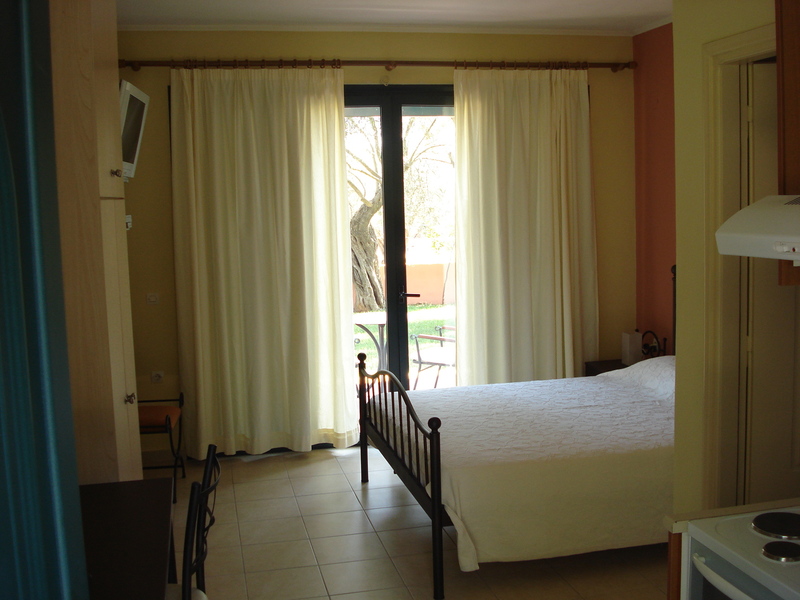 Connecting studios for families of 4 persons are also available. 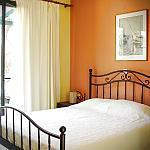 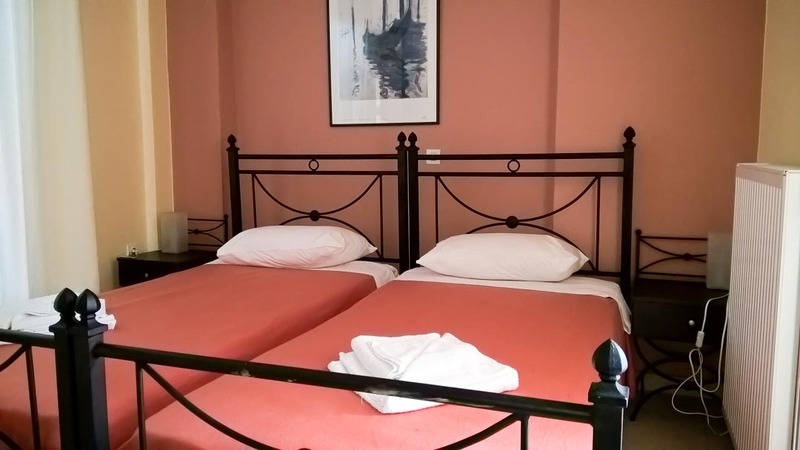 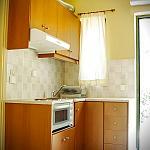 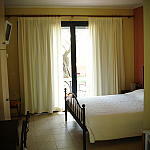 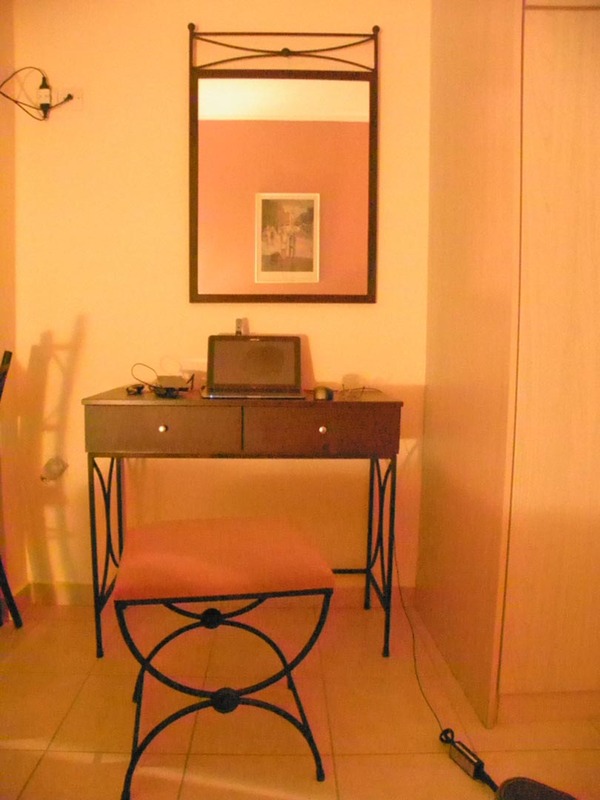 Each studio has two separate rooms (fully equipped kitchen and dinning area, sleeping room and a balcony). 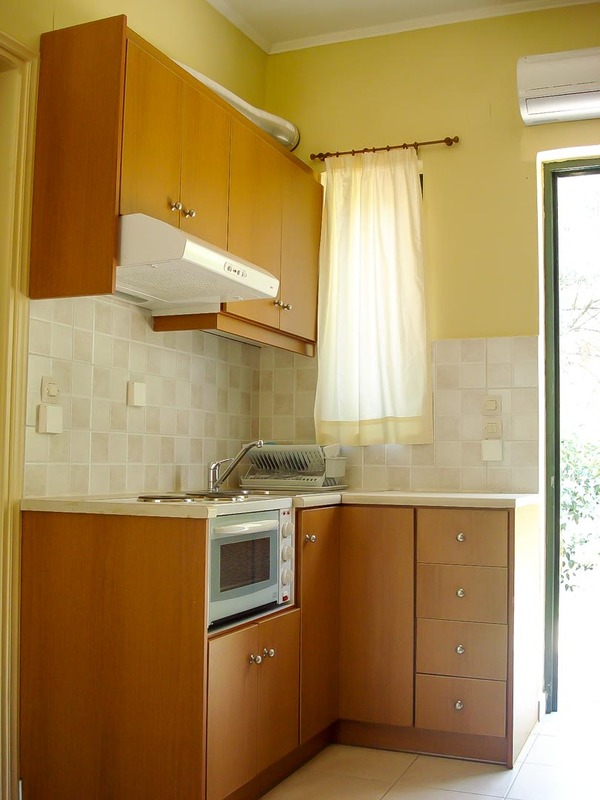 They also offer fridge, TV, Wi Fi, air-condition, autonomous heating. 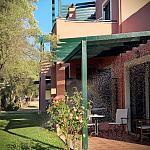 and verandah with garden view. 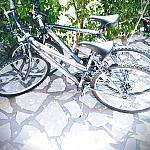 Car parking is also available. 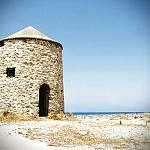 It took its name from the very pleasant west breeze (maistros) which blows during summer time. 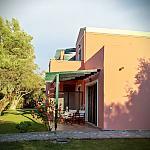 It is an ideal destination for those who seek a friendly environment in absolute harmony with the comfort and the quality. 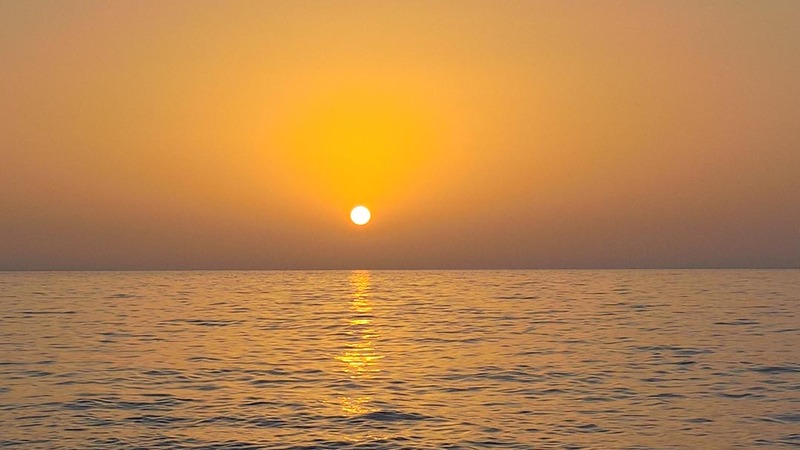 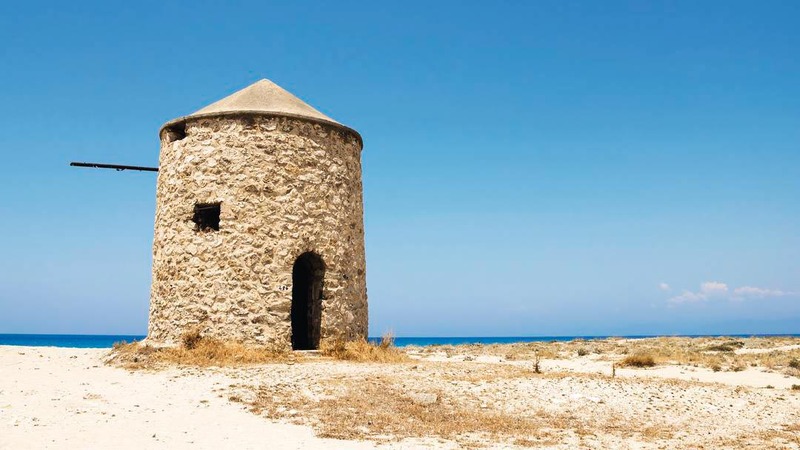 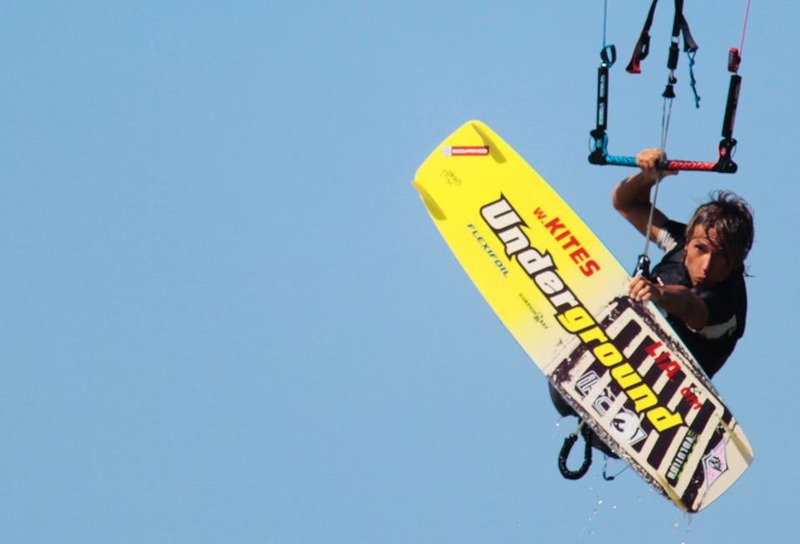 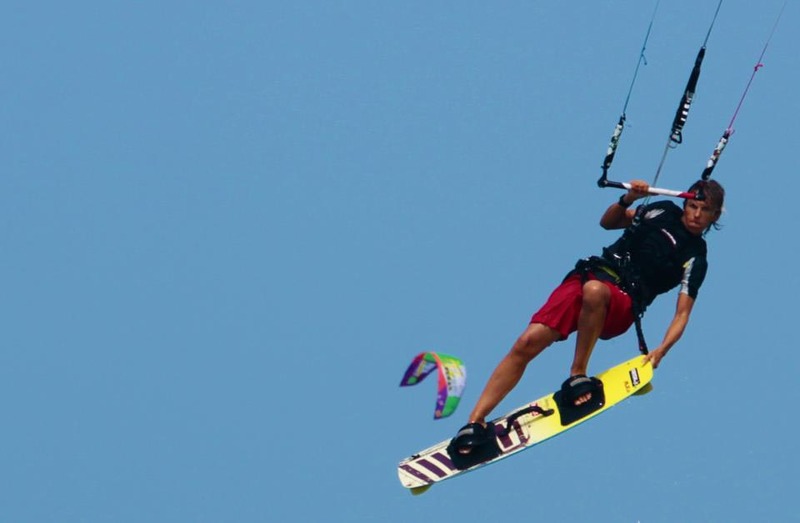 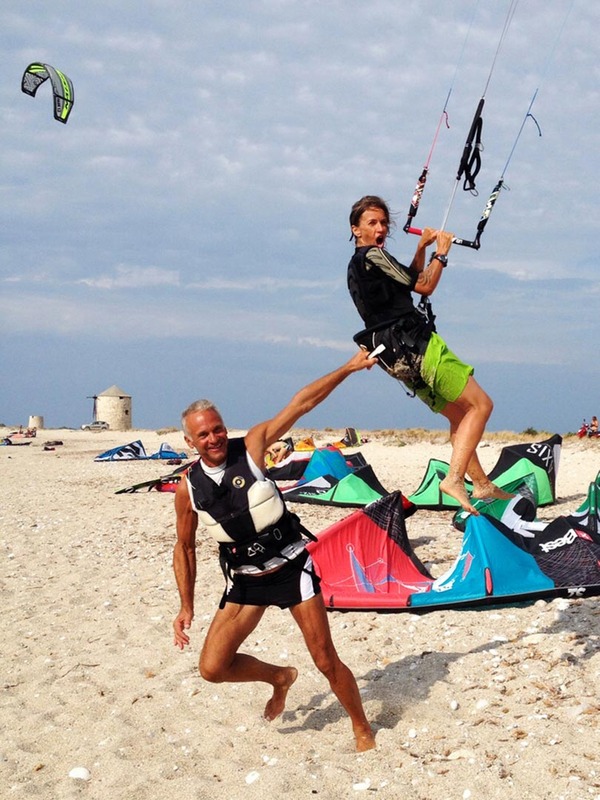 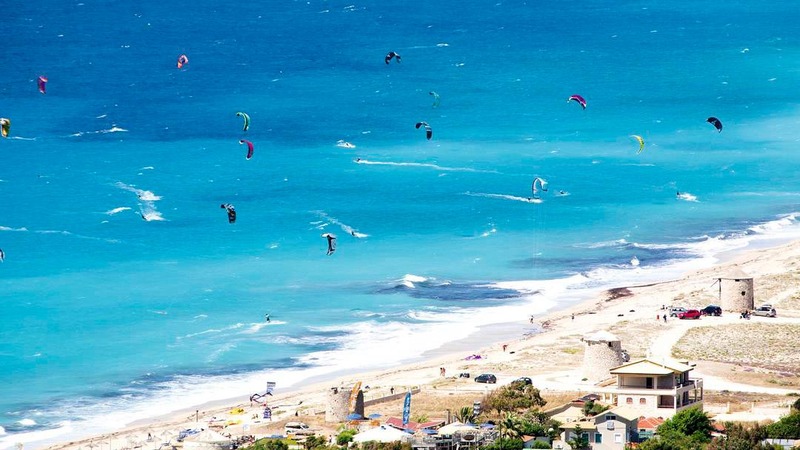 Located just 400 metres from the rewarded with blue flag sandy beach of Ai-Giannis, the beach of Ai-Giannis is considered as one of the best destinations in Europe for kite surfing as well as wind surfing. 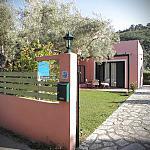 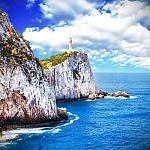 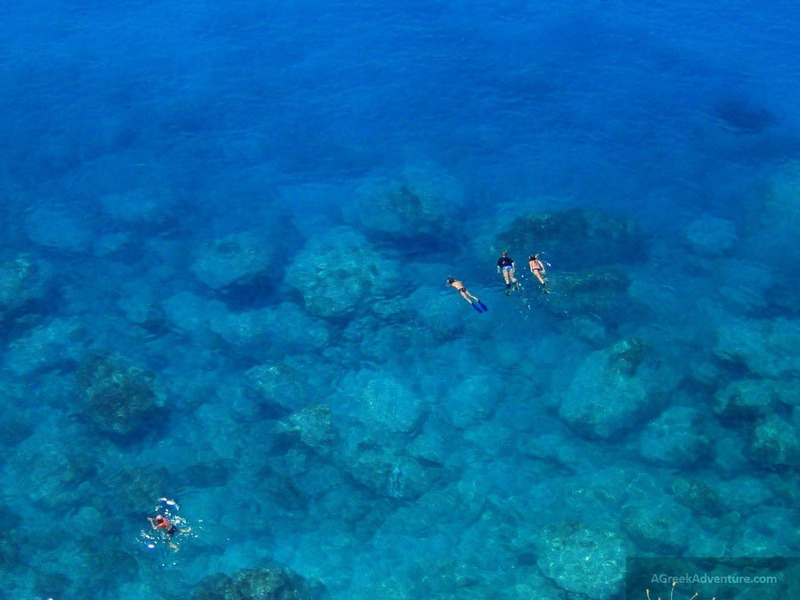 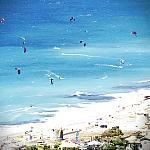 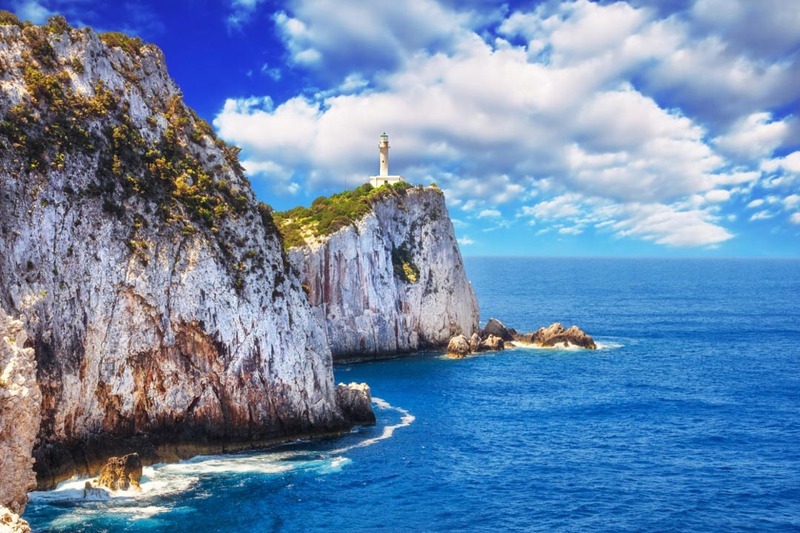 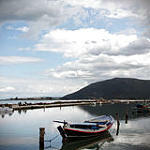 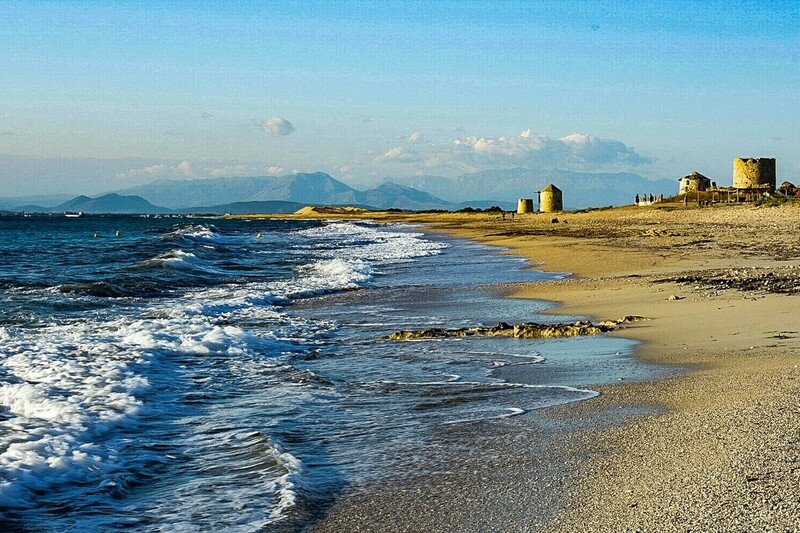 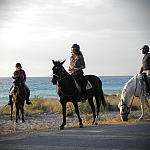 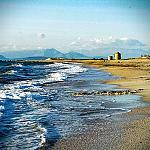 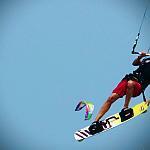 Moreover the Town of Lefkada is 2,5 km away from Ionian Breeze.